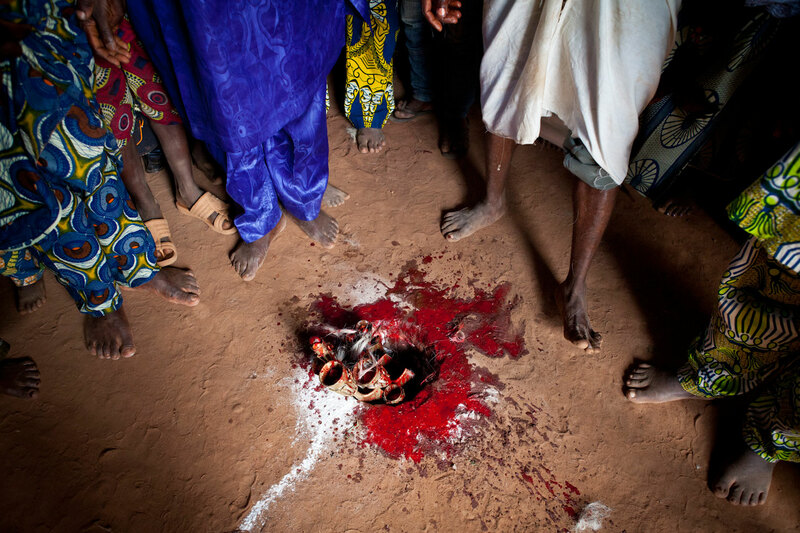 At the entrance of the Thron voodoo temple in Ouida, Benin a small hole is dug where a package is placed. The package is known as 'The Source'.The object whose contents are only revealed to Thron voodoo practitioners shakes and vibrates as each devotee handles and holds. Before 'The Source' is placed into the hole the ceremonial knives removed after a blood sacrifice has been made.